Because I have a long and complicated history with Temple University, I have closely followed the story of the backlash against Temple professor Marc Lamont Hill for the speech he delivered at the United Nations’ “International Day of Solidarity with the Palestinian People”. I have never met Hill, but I have read his speech and was moved by his careful cataloguing of the violations of human rights endured by Palestinians, and his passionate embrace of justice and equality for all who live “between the river and the sea” in the land of Israel/Palestine. For his efforts, Hill was denounced as an “Israel-hating, anti-Semite”. His speech was termed “malicious”, “ignorant” and “an incitement to violence”. That much I expected. But what confounded and irked me were the reactions of some American Jews, who said that they found his words “threatening”. Based on my own experiences, however, I expected these expressions of feigned “outrage”. I must say that I was surprised that CNN acted as precipitously as they did in firing Hill as a network commentator. I was also troubled by the denunciations that came from the chair of Temple University’s Board of Trustees, who termed Hill’s remarks “hate speech”, and the university’s president who said that he would explore the possibility of terminating Hill’s contract. It appeared that they either had not actually read Hill’s remarks, or were reading talking points from those who deliberately overreacted in order to snuff out any and all criticism of Israel. After deliberations, the board of trustees issued a statement expressing their “disappointment, displeasure and disagreement” with Hill’s UN speech, while at the same time begrudgingly acknowledging that since he was a tenured professor, it would be difficult to fire him. I am proud that in reaction to this uproar, Hill has remained firm and has received the support of many of his colleagues. In a beautifully written response to the attacks, he made clear his absolute rejection of anti-Semitism, reaffirmed his criticism of Israeli policies and his commitment to Palestinian rights and apologised for words in his speech that may have served as “a dangerous and harmful distraction from my political analysis”. Five decades ago, as a doctoral candidate in Temple University’s Department of Religion, I experienced some of the same intolerance and threats, but, in my case, without the protection of tenure. It was the late summer of 1967 when I first arrived at Temple University to begin my graduate studies. I was greeted on campus by a large banner hanging in front of a fraternity house screaming, in capital letters, “GO ISRAEL, BEAT ARABS.” No one in Temple University’s administration appeared to object to the banner since it was not removed for quite some time. A few years later, while I was speaking at a campus Vietnam anti-war rally, someone shouted out “Why are they letting the Arab speak?” Shortly thereafter, I received a note at my apartment that began “Arab dog, you will die if you set foot on campus again.” I brought the letter to the attention of the administration and the campus police and was disturbed that my concerns were shrugged off as “boys will be boys”. When, a few days later, a group of shouting Jewish Defence League activists attempted to storm the classroom where I was teaching, there were no campus police around to make arrests or offer me protection. I was blessed that a group of four African American students who were taking my class rose to my defence and confronted the demonstrators, who beat a hasty retreat. These events were threatening. But troubling in a different way was what happened in 1971 after a series of articles I had written appeared in Philadelphia’s African American newspaper “The Philadelphia Tribune”. In the summer of 1971, I had travelled to Lebanon on a university grant to interview Palestinian refugees as part of my dissertation research. 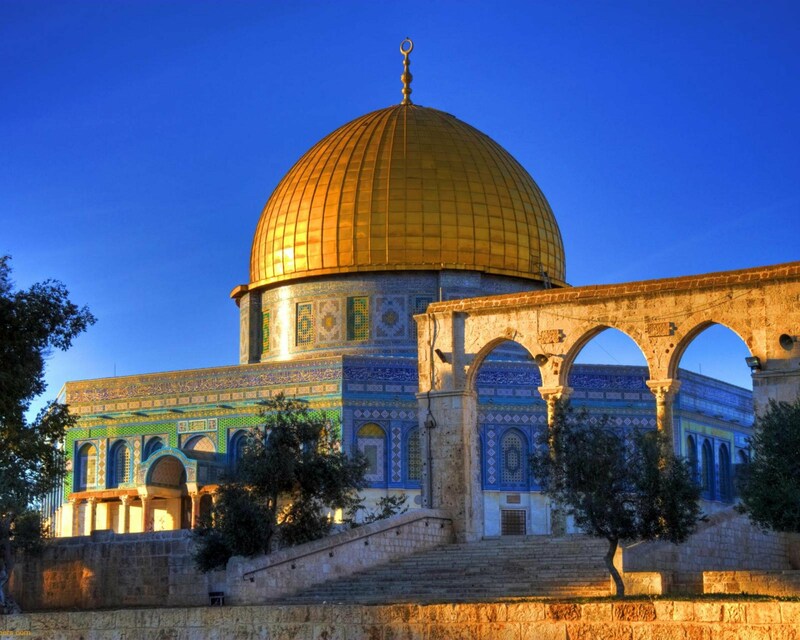 When I returned to Philadelphia, I decided to share my experiences with a larger audience and so I excerpted some of my research notes into a series of columns which I titled “Three Days in Palestine”. In the articles, I told the stories of people whom I had met, reported their recollections of having been expelled from their homes, detailed the life they had built for themselves and their families in the camps and told of their passionate desire to return to their homes. Many had showed me treasured photographs of the homes they had left and the actual keys to their homes in Palestine. I was pleased with the with initial reaction to the articles from the Tribune’s readers, but was stunned a few weeks later when my academic department’s director of graduate studies published a letter in the Tribune, denouncing my work and, using bizarrely intemperate language, described me as a “neo-Bolshevik, neo-Nazi, anti-Semite”. After a year as an NDEA fellow at the University of Pennsylvania, I returned to Temple, later finished my dissertation and was awarded my doctorate in 1975. I was able to feel somewhat vindicated when, three decades later, the College of Liberal Arts named me a distinguished alumni fellow in recognition of my life’s work. I find it incomprehensible that anyone would have felt threatened by Hill’s thoughtful criticism of Israel’s behaviour or his fervent wish for a society “between the river and sea”, where there is justice and equality for all. His words echo the warnings of the prophets of old and today’s courageous Israeli human rights activists, who are themselves threatened in the increasingly repressive environment that currently exists in Israel. Someday, Temple University will recognise the prophetic words of Marc Lamont Hill and they will be embarrassed that they did not come to his defence. They will realise that he was right and courageous to speak out in support of human rights and to call for equality for all peoples, Palestinians and Israelis, who live “between the river and the sea”. I hope this recognition and their apology does not take three decades. He deserves it now.